Time for a celebration! 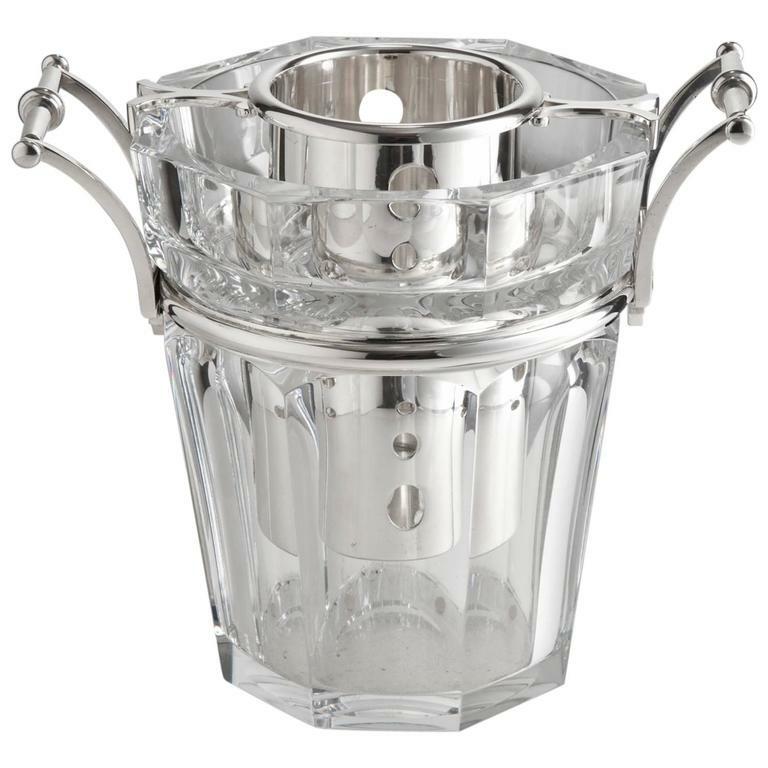 A very impressive centrepiece Baccarat champagne cooler. 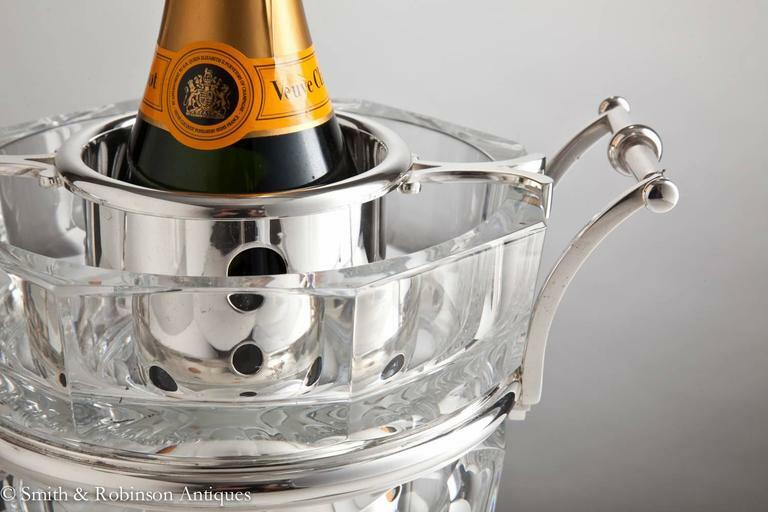 The quality of the thick glass body and metal work is stunning. It is in perfect condition and complete with all original components as shown. 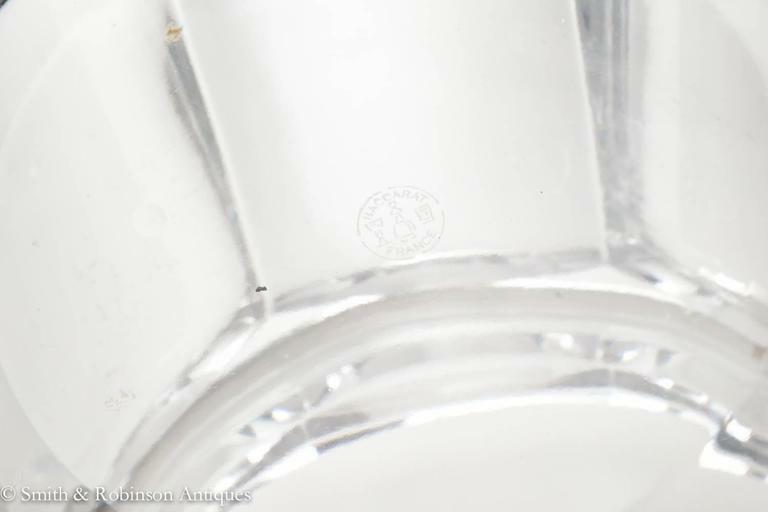 Makers mark stamped on the base as shown. 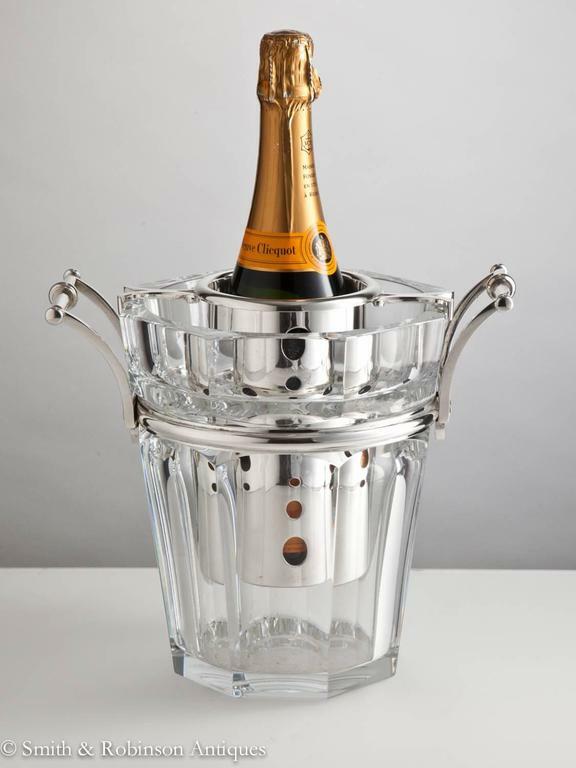 We are always adding to our 1stdibs catalogue so be sure to add us to your favourite dealers and visit our storefront. Member of Bada & Lapada. 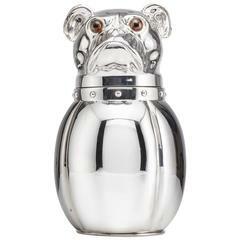 A 20th century French bulldog wine cooler circa 1935 An unusual and rare barware item in unused condition. 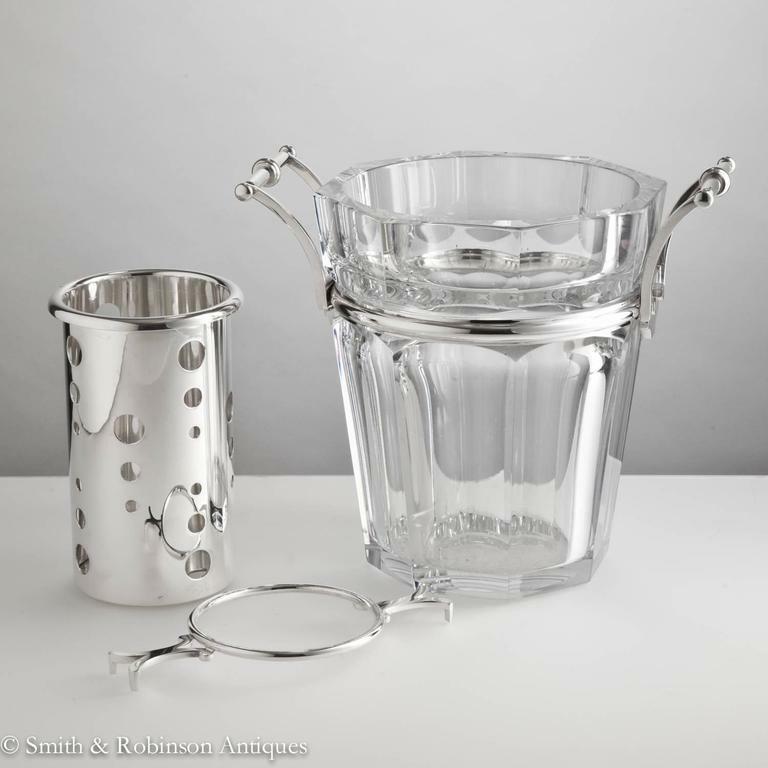 Elegant vintage French ice bucket stands. Brass look. Provenance, bistro in Lyon. Lots of patina. Priced per piece.